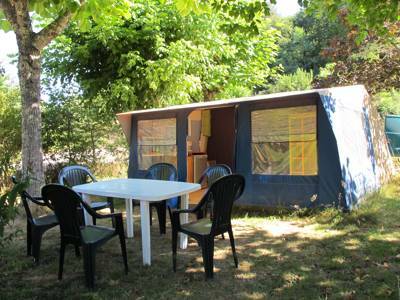 This accommodation is charged in Euros (€), we have provided an estimate in GBP (£). 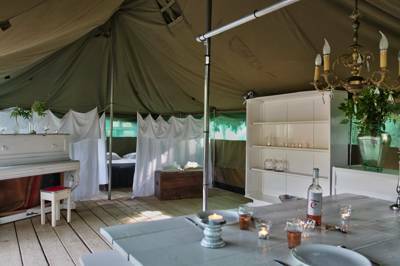 Luxury safari tent, with a beautiful 'vintage french' interior design, chandelier, wooden flooring and lavish drapes. 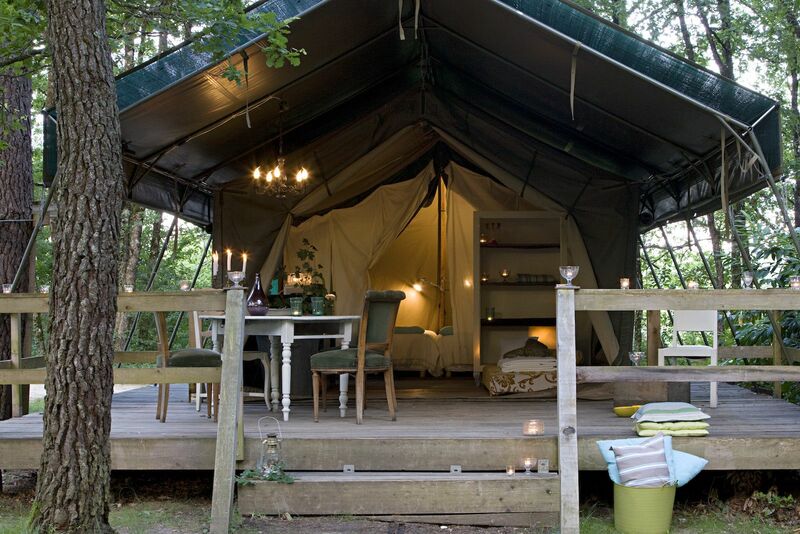 Stylish Domes for the ultimate glamping experience! 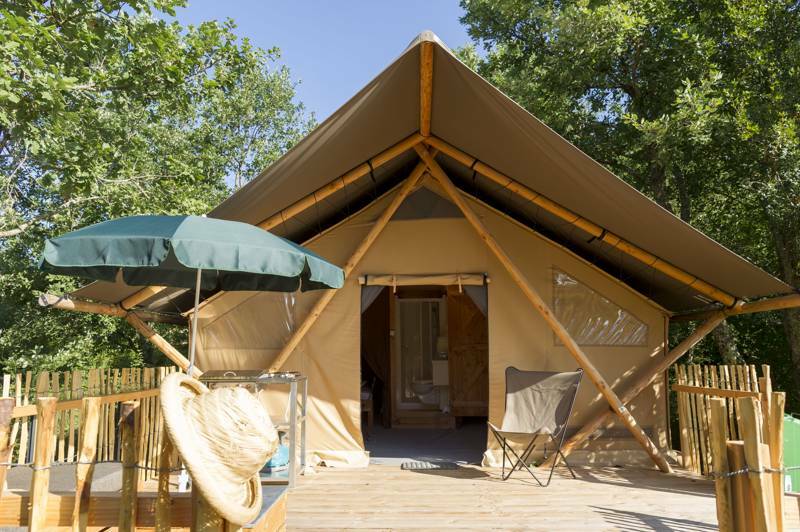 These standard domes sleep up to 6 people (max 4 adults). 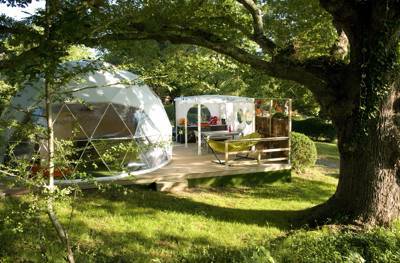 Stylish Domes for the ultimate glamping experience! The deluxe domes at Glisten come with a private shower & toilet and sleep up to 6 people (max 4 adults). 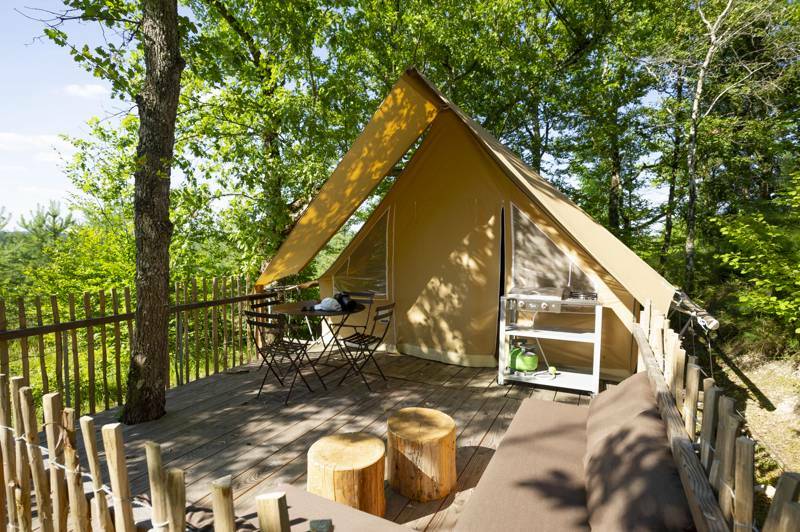 Book our Canada Lodge Classic, ideal for a family of 4 or 5 people. 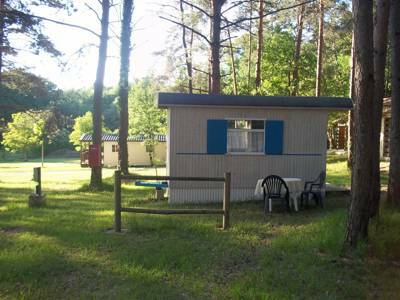 It has 2 bedrooms, one with a double bed and the second with bunk beds. You also have a kitchenette with a refrigerator, gas cooker, coffee maker, microwave and crockery for 6 people. 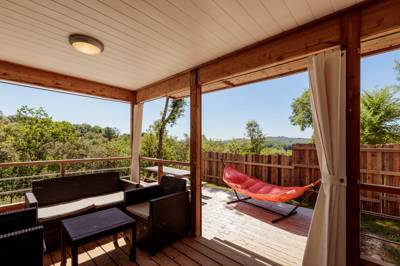 Step outside onto your own covered terrace equipped with garden table and chairs. 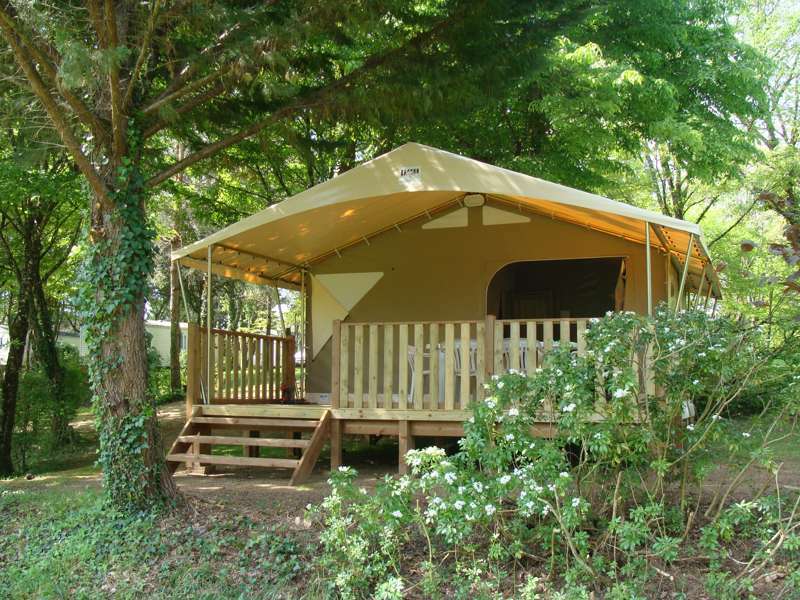 Our pre-pitched tents are 100% canvas cotton, they create a warm and romantic vibe. 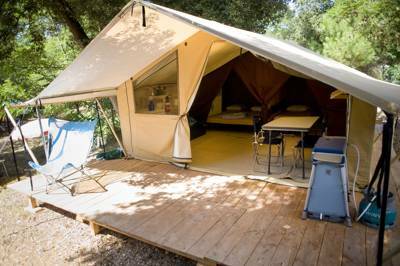 The Sahara Tent 'Duo' has a single bedroom with a double bed and pillows, quilts and summer blankets provided. You have a large indoor living area as well as a kitchenette on a partially covered terrace. 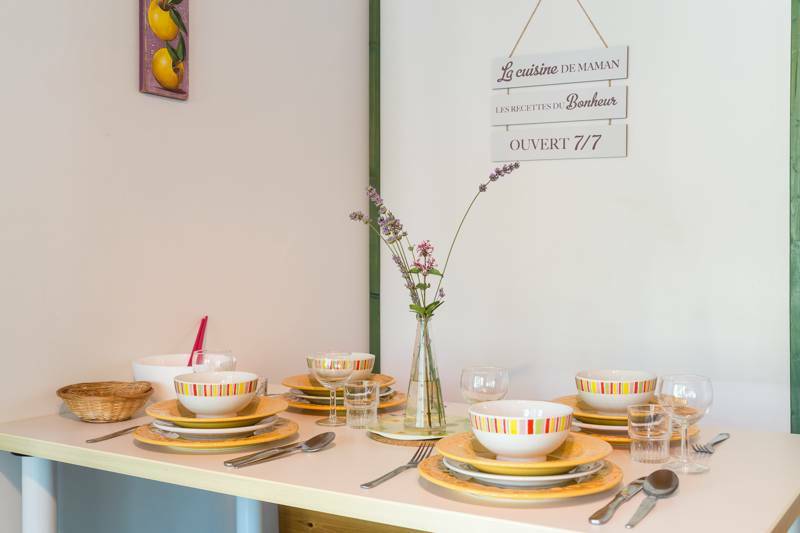 Your kitchen is equipped with a refrigerator, gas cooker, coffee maker, microwave and crockery for 2 people. 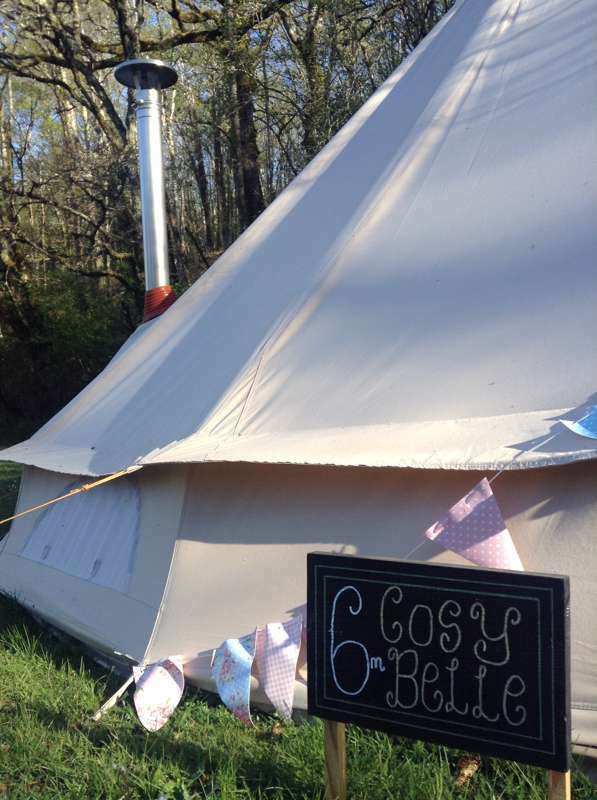 Our pre-pitched tents are 100% canvas cotton, they create a warm and romantic vibe. The Sahara tents has three separate bedrooms, equipped with screens. The first room has a double bed, then the second and third rooms have 1 bed in each, all with pillows, quilts and summer blankets provided. 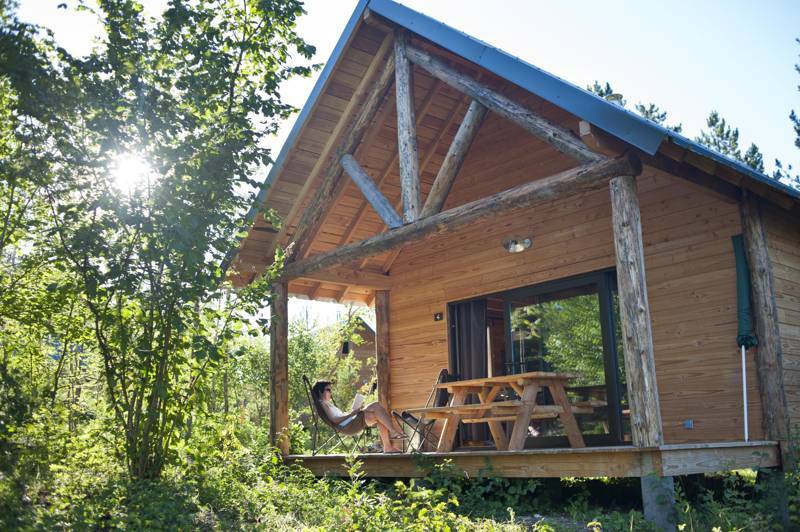 Book our Canada Lodge Comfort, ideal for a family of 4 or 5 people. It has 2 bedrooms, one with a double bed and the second with bunk beds. You also have a kitchenette with a refrigerator, gas cooker, coffee maker, microwave and crockery for 6. In your bathroom you have a shower, washbasin and toilet. Step outside onto your own covered terrace. 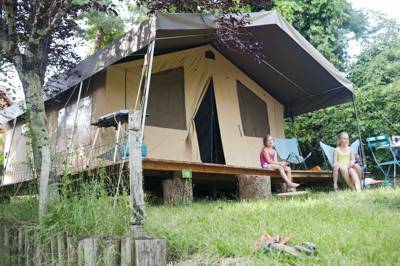 Family friendly canvas tents with large wooden terrace. 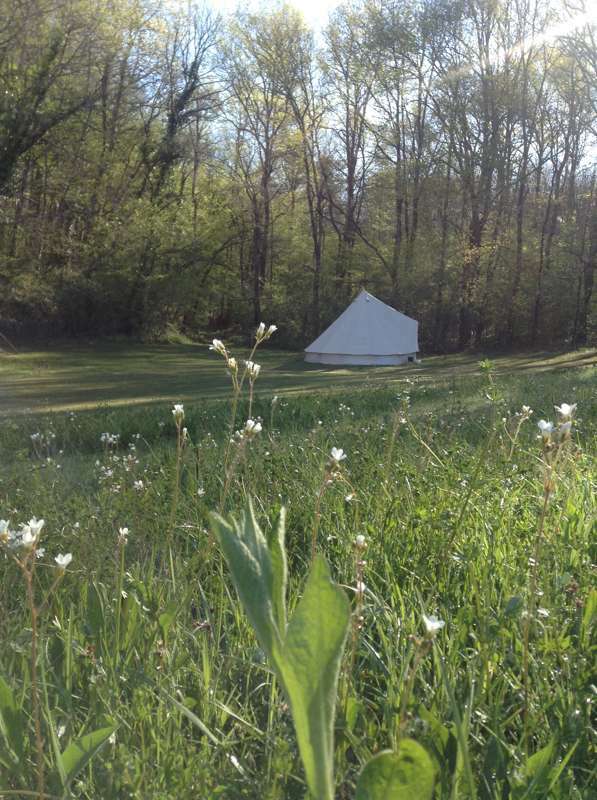 Wake up to morning birdsong... offering serenity, privacy and a place to get away from it all. 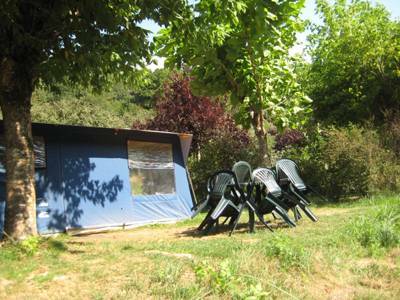 Situated on a gentle incline, with south facing views over the campsite. 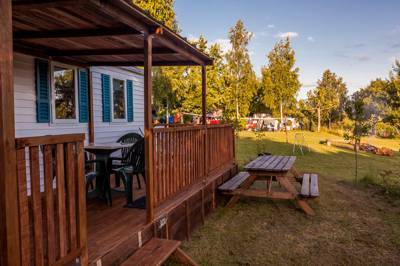 These budget friendly homes offer quirky charm and comfort with a choice of complete privacy or views over the playground. A stone’s throw away to absolute escape. 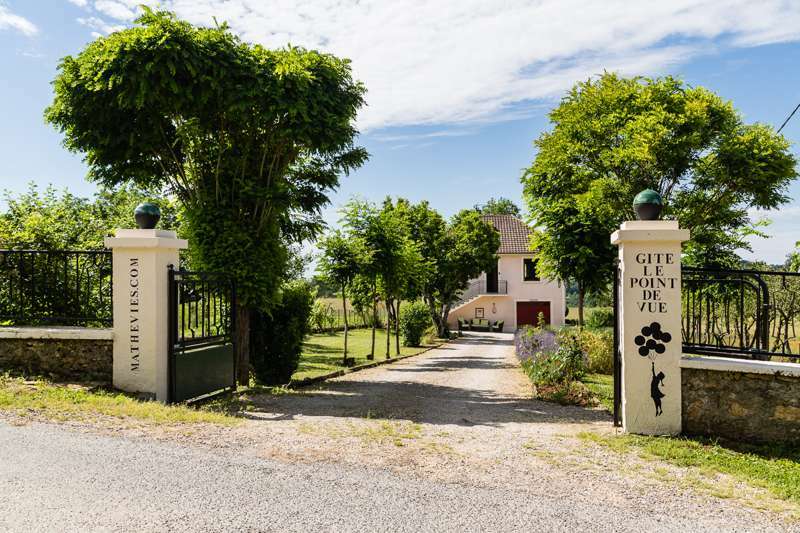 After a day on the campsite, retreat to your own little palace a short stroll down the lane. The main house sleeps up to 4 people comfortably with the option of extra bedding for a 3rd child. There is a self-contained guest-wing with separate entrance which must be hired for additional 2 people. 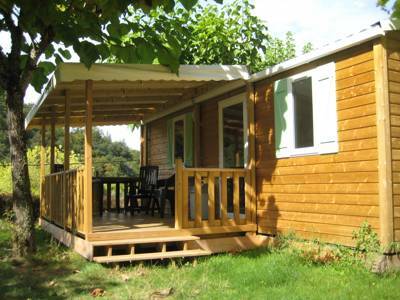 Wooden Chalet with beautiful views, for up to 6 people. 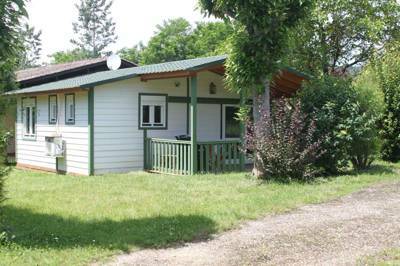 Includes kitchenette, toilet, shower room and decked veranda. 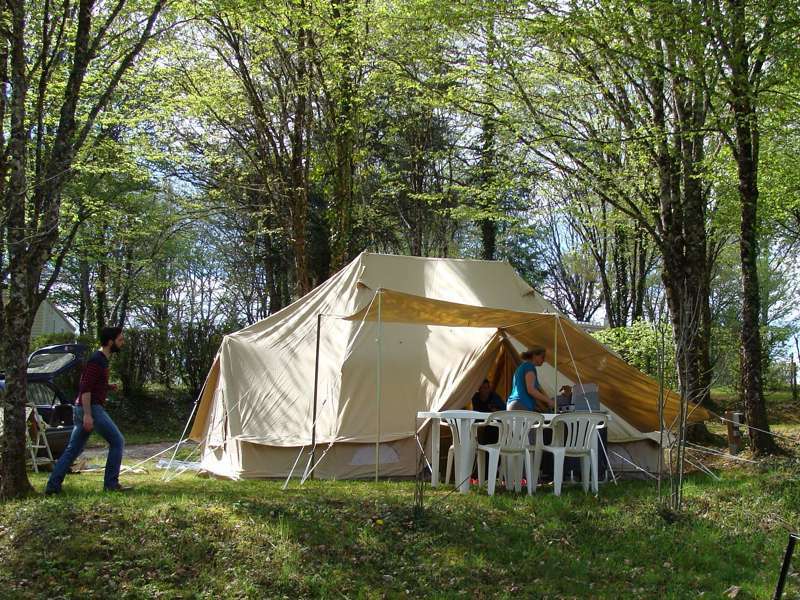 Enjoy the joys of camping without the setting up, in this pre-pitched tent for 6 people! Everything is ready - so you can just head straight to the river for a refreshing dip! 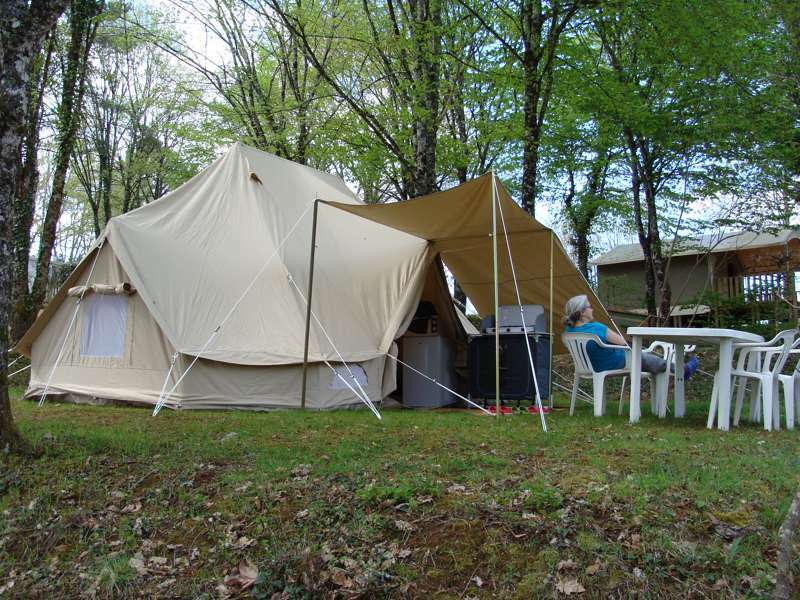 Large and spacious luxury Canvas Tents. 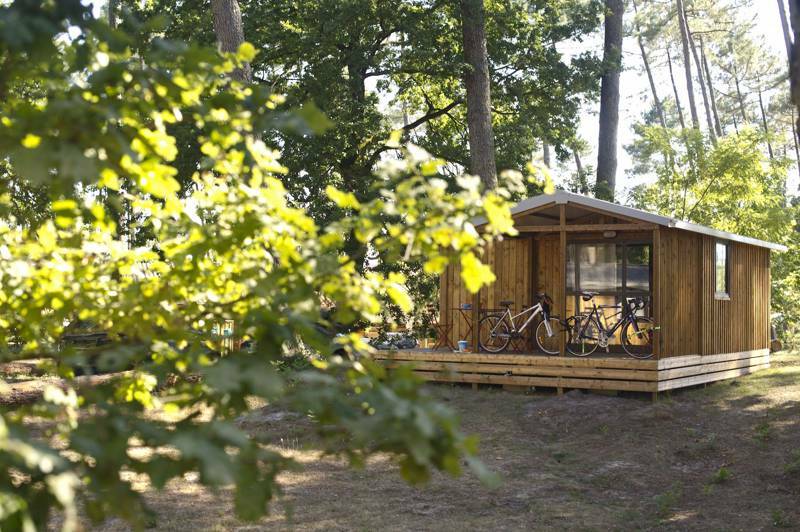 The Huttopia Wood Cabins are nestled in the midst of the forest, offering ideal accommodation for a stay in the heart of nature. A canvas roof, under the stars... Absolute comfort. 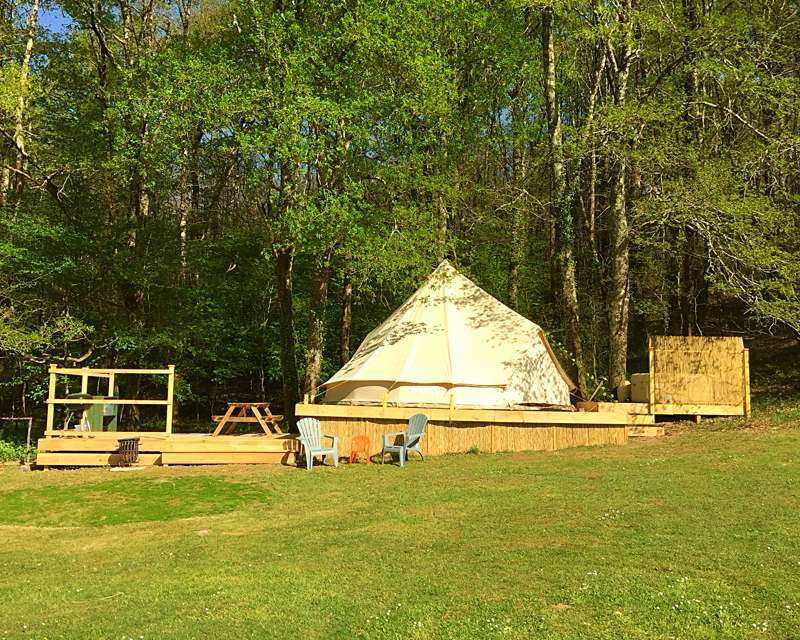 Play at campers under a canvas roof at Huttopia Lanmary. 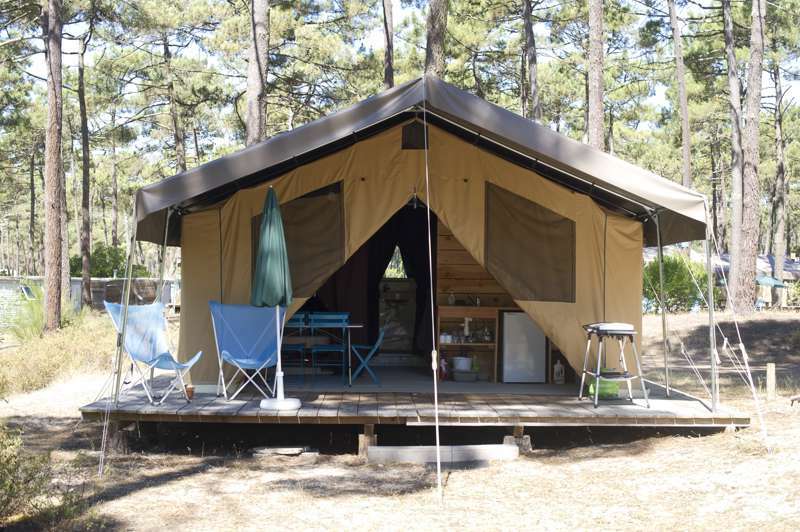 This tent with a large terrace sleep up to five. This two person wood and canvas tent has been designed for couples looking for a holiday escape under a canvas roof in the heart of nature. 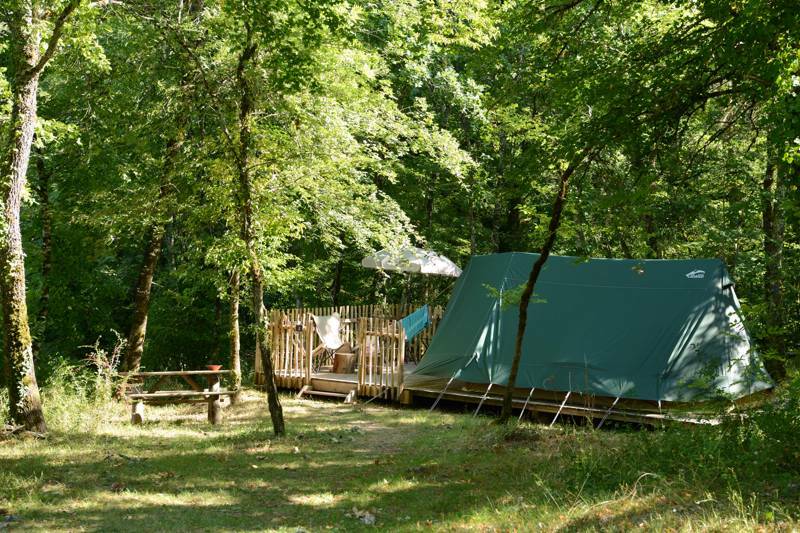 In this snug tent, you can enjoy the pleasure of sleeping under a canvas roof with all the comfort of a good bed! 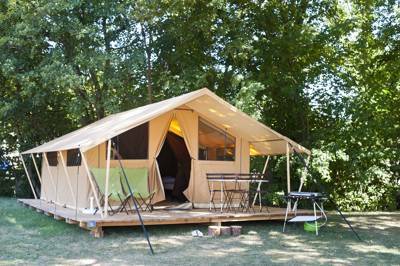 This large canvas Belle Tent is fully kitted with a King sized bed, wood burning stove and luxurious decor. 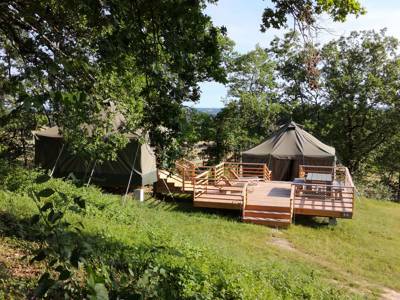 The tent is sat on a raised decked platform, plus an inflatable hot tub is nestled next to your tent, hidden and very private. Perfect for a family or couples getaway. Picnic bench and BBQ and electric also provided. 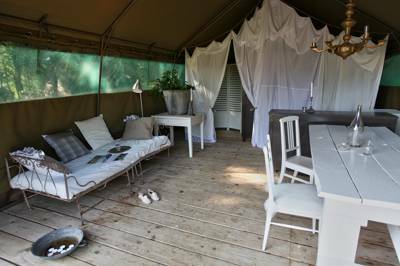 Spacious and luxurious glamping in this beautiful "Belle" tent allowing you to enjoy the great outdoors without compromising on comfort. 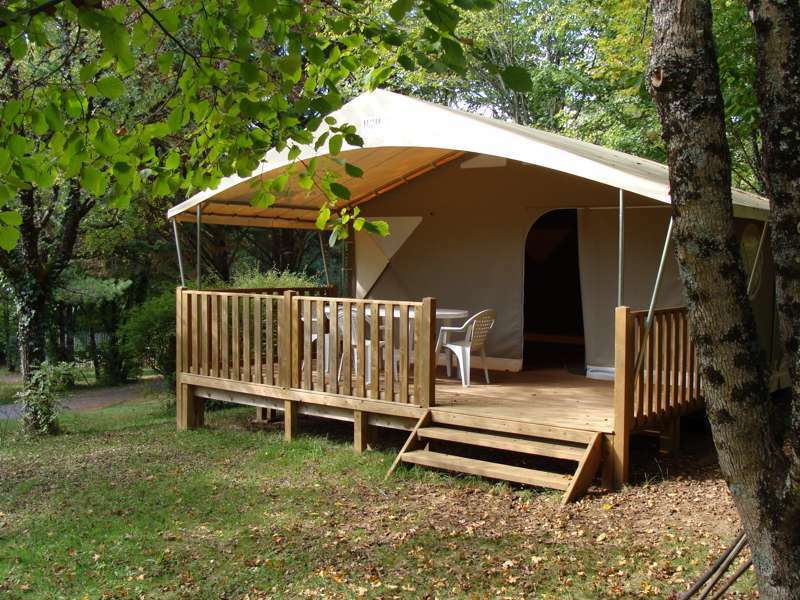 Large and spacious luxury Canvas Tents with private shower facilities. 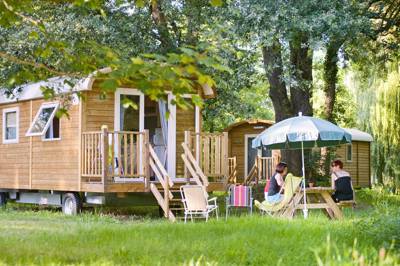 Wooden "Roulotte" inspired by traditional Gypsy Caravans, with private outdoor space. 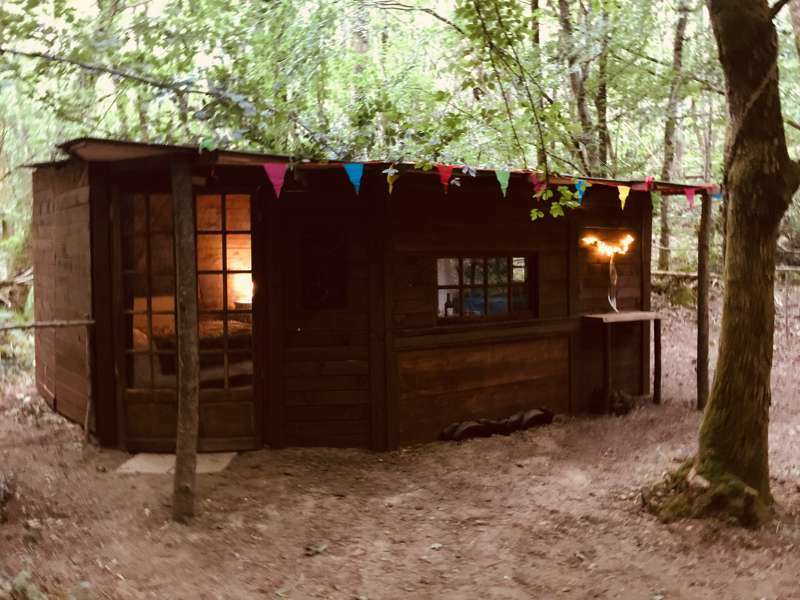 © 2019 Tripadee Ltd, trading as Glampingly. All rights reserved. No part of this site may be reproduced without our written permission.